See tons of birds, fish, and maybe even an alligator! Whether you're a local looking for another reason to love Space City, or you're just visiting and want the inside scoop, Bayou City Adventures has a treat in store for you! 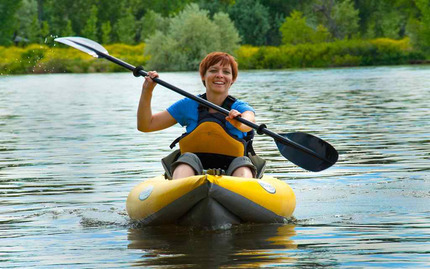 On this one-of-a-kind kayaking adventure, which is open to all skill levels, you will paddle through the Armand Bayou, home to lots of local wildlife. You'll see tons of birds, fish, and maybe even an alligator, so don't forget to bring your camera! You'll cover over 6 miles over 3 hours of fun and adventure. Depending on the water conditions of the day, the tour will take one of two different routes. But don't you worry -- both trails are packed with amazing wildlife and fabulous adventures. You can't go wrong with either one! Note: This tour is open to all skill levels, including beginners! If you cancel within 24 hours of your tour, there are no refunds. If you cancel between 24 and 48 hours of your tour, there is a 50% cancellation or rescheduling fee. If you choose to cancel more than 48 hours before your tour, you can reschedule or get a full refund. Really fun!!!! It was a beautiful kayaking day and the staff was very helpful and friendly. Got here about 10am and rented the 2-person kayak for 2 hours for my 6-year old son and I. ALL staff members we interacted with was helpful & had positive attitudes (I could tell they love their job). We were given a quick 5-minute introductory lesson on kayaking & was soon off in the bayou. The views are amazing and gives you a different perspective of Houston from the Buffalo Bayou-point-of-view. There are plenty of shade areas along the path to stop for a breathers as I was a bit worried about the sun beaming down on us. Had such a amazing time, that I've been pricing out kayaks at the Academy & other stores as I think I'm taking on a new hobby. Oh, and not ONE mosquito bite on us! My 13 year old son & I had a great time kayaking Buffalo Bayou. It was our first time to do anything like this & I highly recommend it. The staff is great and they were wonderful guides & instructors. This was mine and my husbands first time kayaking. The equipment was nice and well maintained. The staff was knowledgeable and helpful and very friendly. We are definitely looking forward to going back. 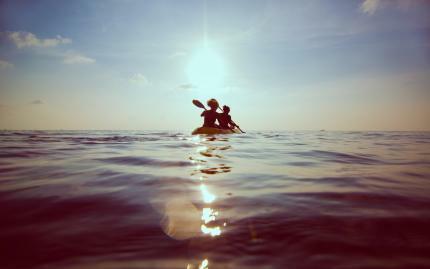 It's great experience with being so new to this paddling world. Did the skyline kayaking tour with a friend and we had a great time! Our arms were super sore the next day, but totally worth it!! Had a great time! Staff was professional, organized and knowledgeable! Our guide was terrific! She paced the group for even the slow paddlers! We will be back! !